You will need to use the library catalogue, YorSearch, to find books and other resources to support your academic studies. The link below will open YorSearch in another tab or window of your browser. Use YorSearch to answer the questions that follow. See a slideshow about YorSearch and take the YorSearch Interactive Quiz. The easiest way to find a known book in YorSearch is to search for the author's surname and a few distinctive words from the title. 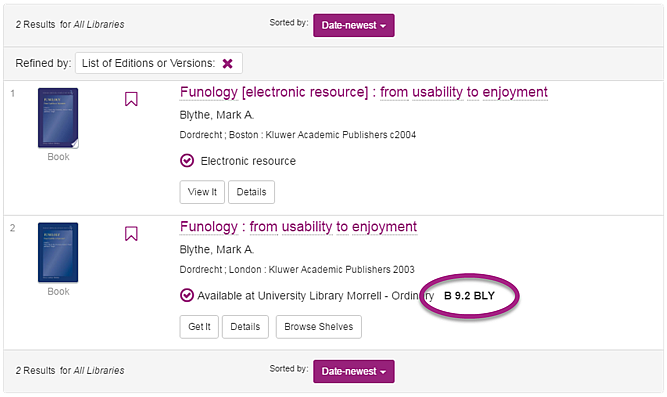 What is the shelf location of "Funology: from usability to enjoyment" by Mark A. Blythe? ...in other words, it is in the Morrell Library, shelved at 9.2 BLY among the ordinary-sized books in the "B" section (i.e. Psychology; 1st floor). Is the book "A theory of fun for game design" by Ralph Koster available electronically? Links to electronic texts are found by clicking the "View It" button which only appears when an electronic text is available. Journals are indexed in the YorSearch Library catalogue, but journal articles are not (though some are indexed in the Search everything tab). To be sure of finding a journal article from a reference, you'll need to find the journal you need and then browse for the article. 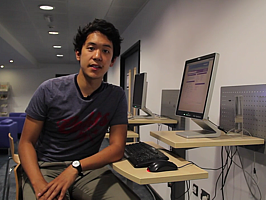 See the Accessing eJournals video for more details. Who are the authors of the article titled ‘Blood, sweat, and the influence of others’ in the e-journal Psychology of Sport and Exercise, volume 15, issue 5, September 2014, pp. 491-497? 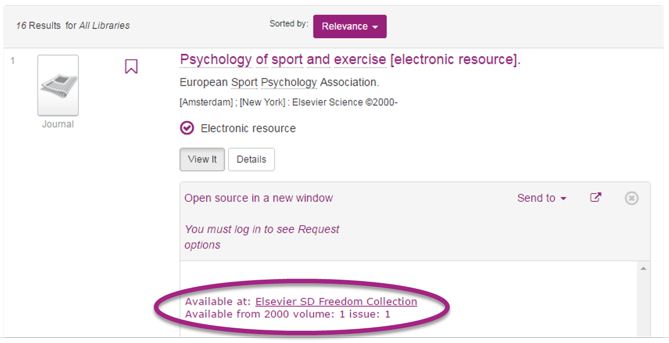 By default, YorSearch doesn't index journal articles, but it does index journal titles, so we can search for "Psychology of sport and exercise"
Clicking "View It" gives a list of links for available years. The article we need is from 2014 so the link here suits our needs. Different journal providers have different websites, but most work like this one: we can use the tree on the left to navigate to the volume and issue we need, then we can look through the contents of that issue until we find the article. There should be a link through to a PDF copy (as is the case here). By default, YorSearch doesn't index journal articles, but it does index journal titles, so we can search for "Psychology of sport and exercise". Different journal providers have different websites, but most work like this one: we can use the tree on the left of the page to navigate to the volume and issue we need, then we can look through the contents of that issue until we find the article. There should be a link through to a PDF copy (as is the case here). Do we have electronic access to volume 20 (2005) of the journal Fungal Diversity? Two links are given: one for the date range 1998-2009, and the other for 2010 onwards, so yes, we have electronic access. Two links are given in the 'View It' pane: one for the date range 1998-2009, and the other for 2010 onwards, so yes, we have electronic access. Now take a look at some of our other Skills Guides.